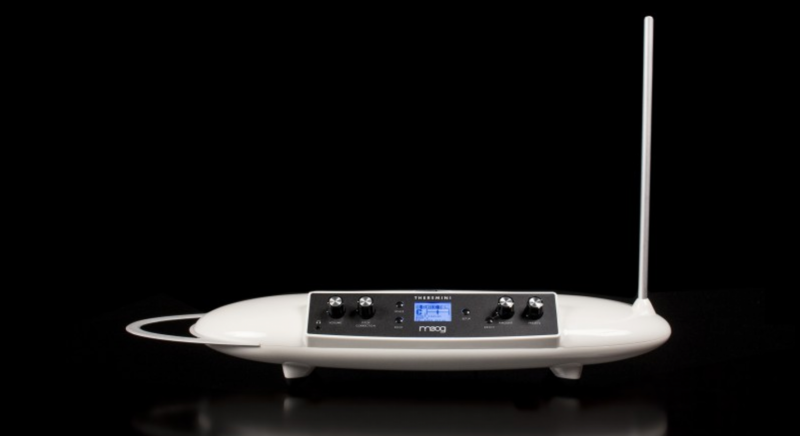 Today Moog announced the availability of the new Theremini, a re-imagination of the classic Theremin. The design of the instrument fuses the classic instrument with the sound engine from Moog‘s classic synth, the Animoog. The device includes pitch quantization, allowing players to adjust to the difficulty of playing the device. This means that you can set the device so that you cannot play a wrong note. With the decrease of this feature, the device will allow for more expressive control over the sound that is being produced, and when the feature is not being used, the Theremini will act as a normal Theremin. The Theremini also has a preset collection that allows users to select from 32 different wave or wavetable-based patches. Check out the buy link in the sidebar to get the Theremini for yourself!